Five names from the world of sport have been included in the inaugural BBC Radio 4 Woman's Hour Power List. 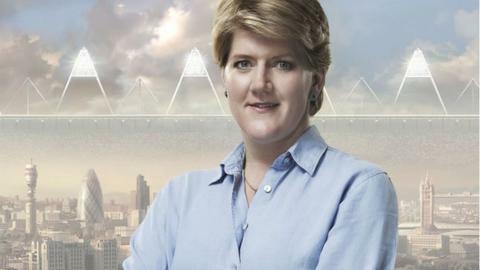 Broadcaster Clare Balding, West Ham vice-chairman Karren Brady and ex-Paralympian Baroness Tanni Grey-Thompson have made the 100-strong list. Also named are Baroness Sue Campbell, chair of UK Sport, and Football Association non-executive director Heather Rabbatts CBE. The list, which is only ranked from one to 20, was topped by The Queen. Victoria Beckham, who is married to footballer David, is also included in the list. The former member of pop group the Spice Girls is now a businesswoman who has created a successful global fashion brand. The judging panel was made up of author and journalist Eve Pollard, who chaired the group, Conservative MP Priti Patel, presenter and writer Dawn O'Porter, Labour peer Baroness Oona King, award-winning novelist Val McDermid and former Woman's Hour editor Jill Burridge. Alice Feinstein, editor of Woman's Hour, said: "In their search the panel considered thousands of inspirational, accomplished women who are leaders in their fields. Their top 100 women are the ones who have the power to bring about change in 2013 - not just the truly brilliant." The Woman's Hour Power List is revealed in a special edition of the programme broadcast live from the BBC Radio Theatre in front of an audience of Woman's Hour listeners - Tuesday, 12 February at 10am on BBC Radio 4.